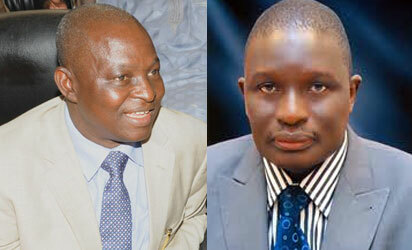 SUCCESS SECRETS: MASS MURDER IN PLATEAU STATE: SENATOR GYANG DANTONG, OTHERS KILLED DURING MASS BURIAL OF 50 OTHERS!!! MASS MURDER IN PLATEAU STATE: SENATOR GYANG DANTONG, OTHERS KILLED DURING MASS BURIAL OF 50 OTHERS!!! Please, let us observe a minute of silence for those that lost their lifes in PLATEAU STATE on saturday 8th and Sunday 9th July 2012. No an hour will be manageable if that can make us think and come up with a solution that will prevent this from happening again. Eye witnesses confirmed that more than a hundred people have been killed in the combined attack!!! The dark cloud of death that has been stalking Plateau State thickened, yesterday, after Senator Gyang Dantong and the Majority Leader of the Plateau State House of Assembly, Mr. Gyang Fulani were killed while attending the mass burial of about 50 victims of Saturday’s attack on villages in Barkin Ladi and Riyom local government areas of the state. The killing of the lawmakers came on the heels of the discovery, yesterday, of the remains of over 50 persons mostly women and children burnt inside the residence of a local pastor where they had taken refuge following the attack on about 14 villages by suspected Fulani herdsmen on Saturday. The two lawmakers were reportedly gunned down at Maseh village in Riyom LGA where over 50 victims of Saturday’s attack were being buried. The gunmen reportedly stormed the venue and opened fire on those present, causing more deaths. Member representing Barkin-Ladi/Riyom Constituency in the House of Representatives, Mr. Simon Mwadkon was lucky as he escaped with injuries and was resuscitated at the Barkin-Ladi General Hospital where he was rushed to after he fainted. Senator Dantong was the Peoples Democratic Party, PDP senator representing the Plateau North Senatorial District and was until his death yesterday, the Chairman of the Senate Committee on Health. The developments which sparked angry reactions across Plateau State was immediately flayed by the senate with Senate President David Mark describing the death as a personal loss. Senator Dantong’s colleagues in the Senate including Senate spokesman, Enyinnanya Abaribe; Senators Pius Ehwerido and Ifeanyi Okowa also paid tributes to a man they described as a gentleman. Speaker Aminu Tambuwal of the House of Representatives also joined in the condemnation of the killings, describing Senator Dantong as a man of peace whose death is highly regrettable. The killing of the lawmakers sparked off angry reactions around the plateau as youths took over the highway to protest what they described as a genocide against the Berom people allegedly by the Fulani. Commenting on the killings, a Jos-based civil rights group, Centre for the Advocacy of Justice and Rights in a statement by its Director, Mr. Gad Peter called for the sacking of all security chiefs in the country. According to Senator Mark, the deceased was a patriotic parliamentarian, quintessential gentleman and committed nationalist who was killed in active service to his fatherland.